At Botticino Sera, just outside Brescia, Colosio Srl have manufactured diecasting machines and accessories since 1971. Well known in the diecasting world, Colosio Srl has focused its attention on the manufacturing of strong, hi-tech diecasting machines, well designed and supported by a particularly fast and effective after sales service. With over 1,500 diecasting machines in 40 countries, nowadays Colosio Group is one of the very few manufacturers who are able to produce the whole die casting cell in house, perfectly integrated with all the necessary peripherals. 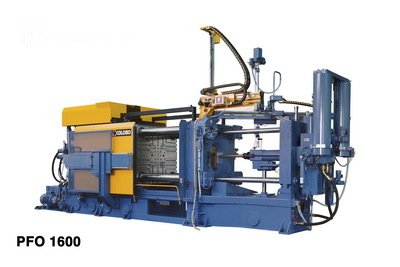 In order to automate their diecasting machines, in 1989 Colosio founded a separate company named Relbo. Relbo is now well known in the diecasting industry and supply their peripherals on several markets, for the automation of both brand new and existing machines. Another important activity of Relbo is the Robot integration in the working islands and the supply of the correct accessories for the execution. Cold chamber horizontal diecasting machines from 140 to 2,200 tons, for diecasting of aluminium, brass and magnesium. 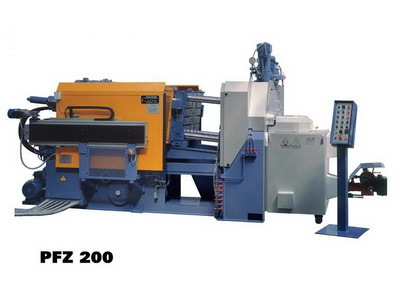 Hot chamber inclined diecasting machines from 30 to 320 tons, for diecasting of zinc and magnesium alloys. Automatic Die Sprayers (either pneumatic or electric) with one or more motorised axis. Stäubli RX:Robot series: for automation with maximum flexibility, precision and speed.